Austin Coding Academy is a coding school with classes taught by professional developers. They offer classes two evenings a week, allowing students to keep their day jobs while building the skills they need to get a job as a software developer. ACA is also dedicated to helping students successfully transition into a new career after graduating. As a result, most of their graduates are hired at software companies shortly after graduation. When they contacted Pyxis, ACA had disparate systems in place that didn’t give them an accurate view of revenue projections. This made it challenging to plan appropriately and hire enough staff for upcoming classes. ACA used a combination of Insightly for contact management and spreadsheets to track sales. They needed a coherent system to nurture interested leads into enrolling and paying for classes. ACA gave us the challenge to help them increase their new student enrollment by 100%. 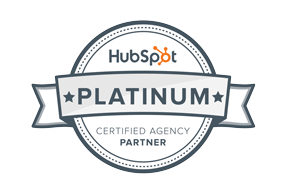 Pyxis Growth Partners developed an inbound sales program to generate and nurture leads for ACA using HubSpot Marketing Pro. We also set up ACA’s contact database on the HubSpot CRM as the backbone system to manage new contacts from lead to customer and worked with the ACA team to document their sales process. This included mapping lifecycle stages, defining deal stages, and building the supporting workflows. We created new student and existing student pipelines so that ACA had clear visibility into their revenue streams. In addition to setting up the system for success, we established specific and measurable goals for each step in the process. Once the sales process and systems were in place, the team at Pyxis was able to analyze sales results for a full quarter of engagement. We developed unique reports that displayed key metrics including all sales sources, sources for closed-won and an analysis of closed-lost reasons. We also developed a deal velocity report to show trends about when deals closed in the cycle. Reports also calculated lead-to-customer rate and close rate from the total number of deals in a period. An increase in inbound marketing activities and weekly analysis of metrics helped ACA meet these goals which results in increasing new student enrollment. In Q3 2018, ACA saw a 60% increase in new contacts, a 66% increase in new deals, and a 31% increase in new students over Q2. The new student results increased 104% from the quarter before ACA contracted with Pyxis to the end of Q3. With a solid system and sales processes in place, Austin Coding Academy is well- positioned to continue their impressive growth.